The company beat revenue expectations for the fiscal second quarter ended Feb. 28. 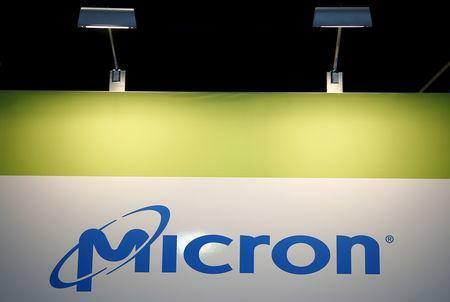 Although it gave a forecast for its fiscal third quarter that was below Wall Street's expectations, Micron said demand is likely to begin growing again by its fourth quarter. Kinngai Chan, an analyst with Summit Insights Group, said investors were focusing on the outlook for a recovery in the second half of the calendar year, with the fiscal third quarter forecast representing "the bottom for Micron's near-term sales and gross margin."